IRREGULAR ISSUE. 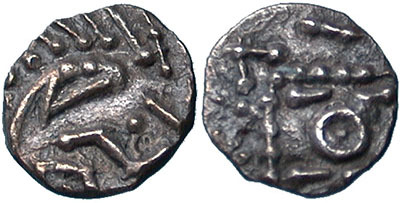 843/4-c.855 AD. Ae Styca. + EDILRED X (Aethelred) around small cross. ® + CVRDVL around group of five pellets.